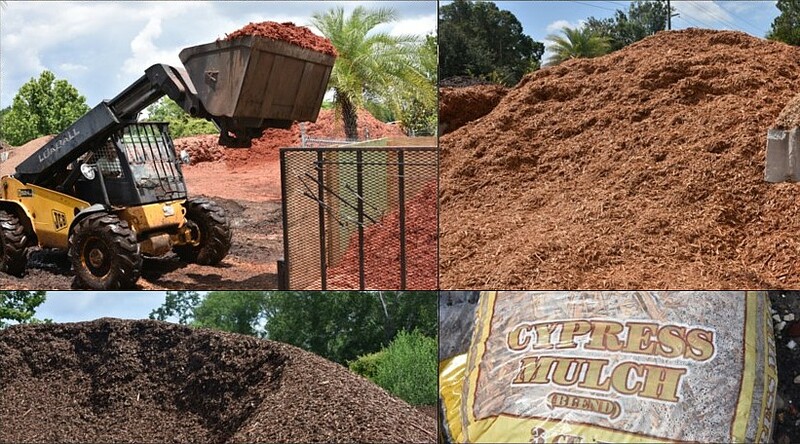 How Mulch Mulch Do You Need? When it comes to determining how much mulch you need, you'll first need to determine the size of the area that needs to be mulched. Calculate the length and width, then multiply the area by how deep you want your layer of mulch to be. Finally, divide that number by 324 (since a single cubic yard of mulch will cover 324 square feet of ground that is one inch deep) and you'll be left with how many cubic yards of mulch you need..., or just use our calculator for your convinience. Taking good care of your yard involves more than just mowing and landscaping. If you're looking to keep your plants and trees healthy from the roots up, it's important to keep in mind elements like mulch. Using mulch in your flower beds and around the shrubs and trees can be beneficial in several ways. It can retain moisture in the soil so plants don't get exposed to too much sun and become malnourished. As a result, it also helps keep soil fertile as well as preventing weed growth. Mulching also gives the topsoil in your yard a more uniformed, clean look. The quantity of mulch you need can also affect the type you purchase. Mulch Masters can help you determine what kind of mulch will have the best quality and be the most reasonable and effective type for your yard. For more information on mulching and other landscaping tips, call Mulch Masters Landscape Supplies at 904 727-1100 or visit us 230 Lee Rd. Jacksonville, FL 32225. Or fill out the form below for a quick estimate for your landscape needs.